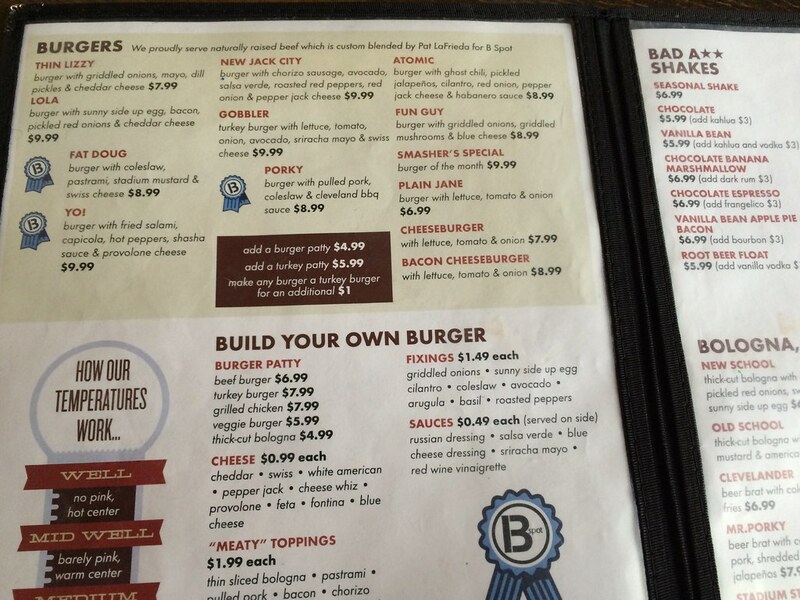 A coworker directed me to "The 101 Best Burgers in America" list when he heard I was heading to Cleveland for a weekend trip. 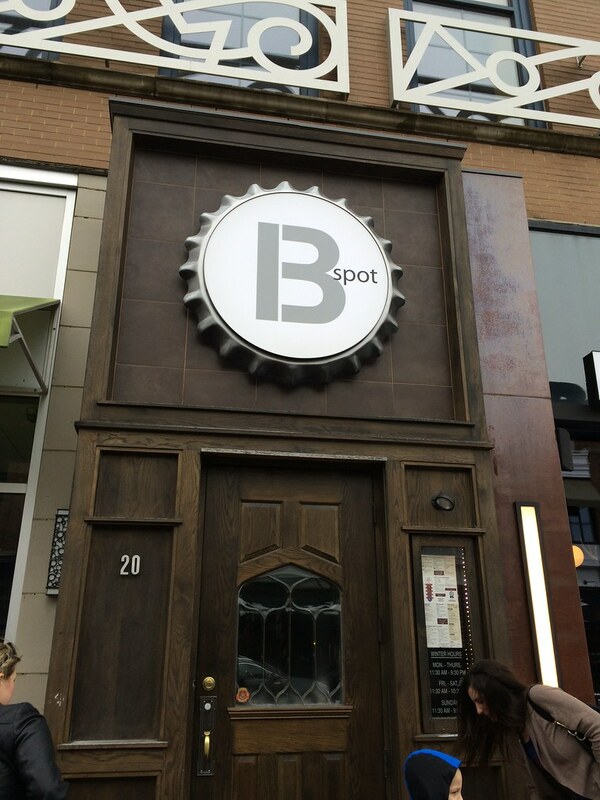 B Spot Burgers was ranked #12 - The Lola burger, specifically. 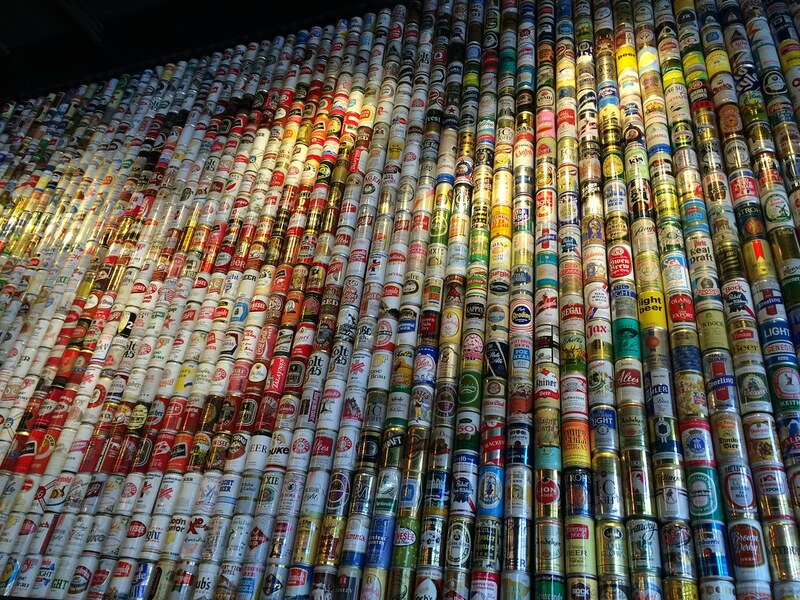 The interior is pretty cool, with a giant wall of beer cans and antler light fixtures. Salvaged wood-esque tables. Pretty cool. 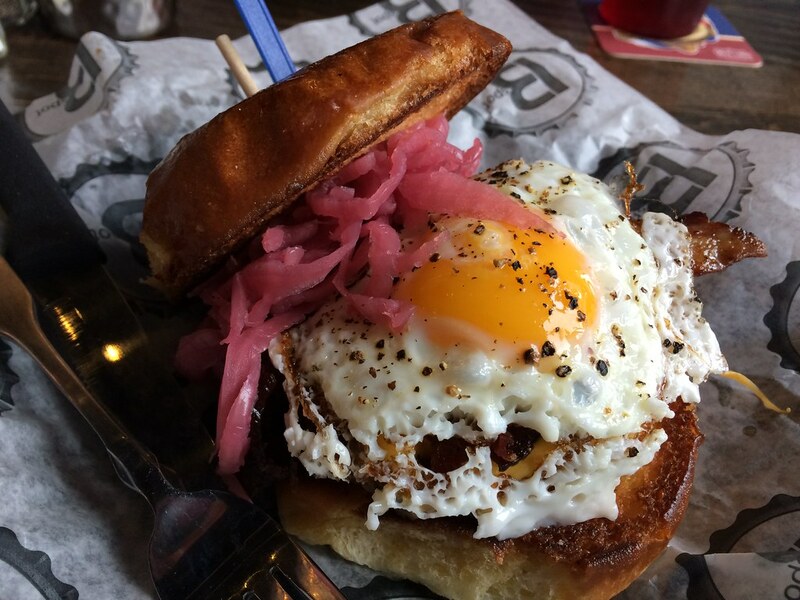 The Lola has a sunnyside-up egg, bacon, pickled red onions and cheddar. That sounded like it'd go perfectly with a chocolate shake. 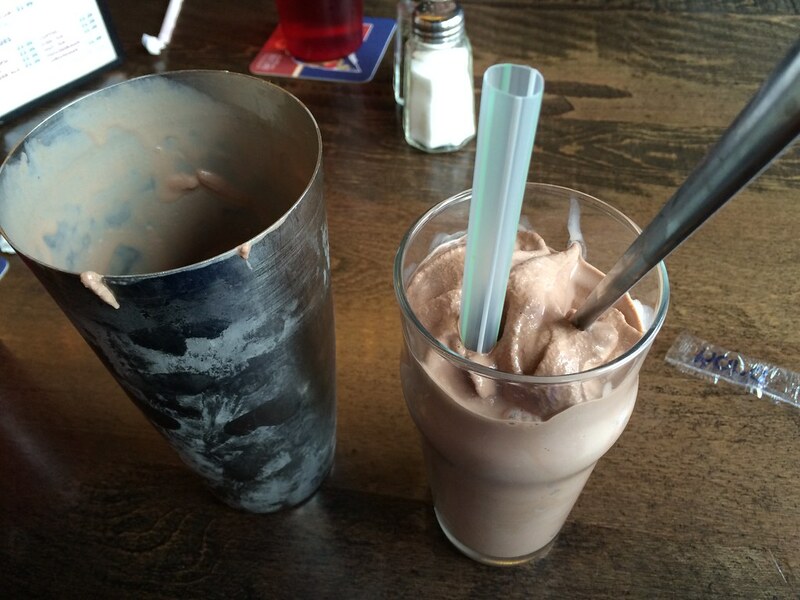 The shake came out first and had the additional metal container so I could go for seconds. It was pretty chocolatey - I think a little milky/creamy lighter flavor would've been nice. But, hell, it's a milkshake. It can't be bad. 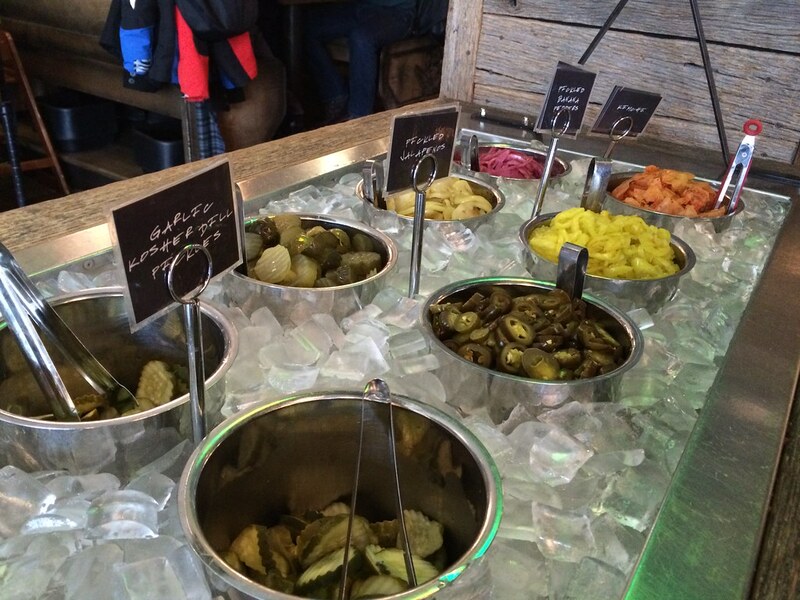 While we waited for our food, I learned about the pickle bar, which had sweet pickles, garlic pickles, pickled onions, kimchi and more. That's a pretty cool addition. 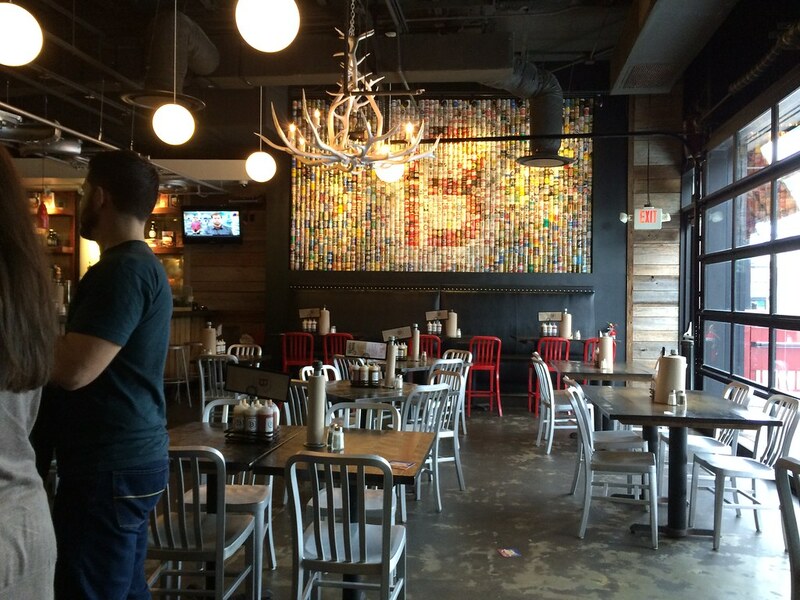 So, when our burgers arrived, we headed straight over there to add some pickles along side. Then, it was time to dig in. This burger is gooey, creamy, slightly sour with a nice buttery crunch in the bread. It hits all points. I didn't really know what I was going to get with the flavors, but the pickled onion prevailed. Plus the cheddar together with the egg was just a unique combo that was like breakfast food on steroids. 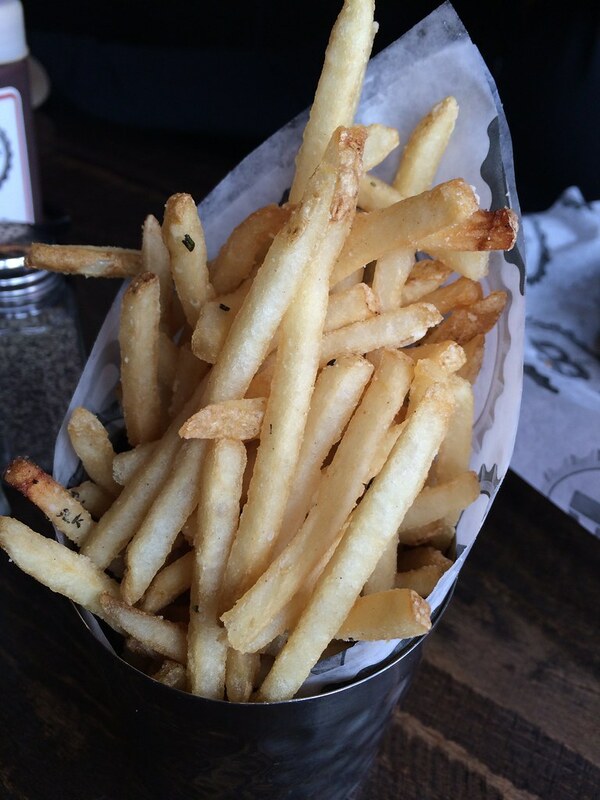 Karie had some of the fries, which weren't bad. 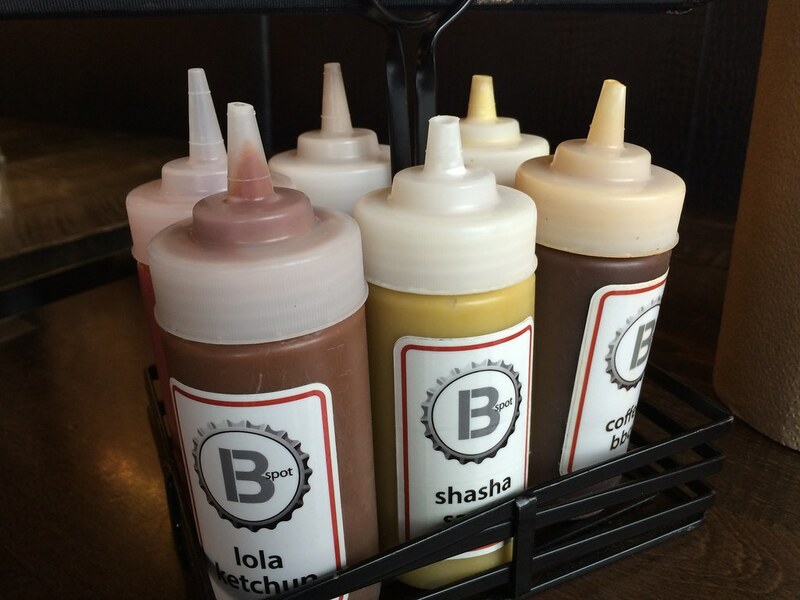 I was sure to try out all the different sauces - three originals were Lola Ketchup, Shasha Sauce and Coffee BBQ. None of them were favorites for me. But that's OK. I was happy enough with my burger on its own.